ISH 2019 - Francoforte - Hall 3.0 / Stand E96. 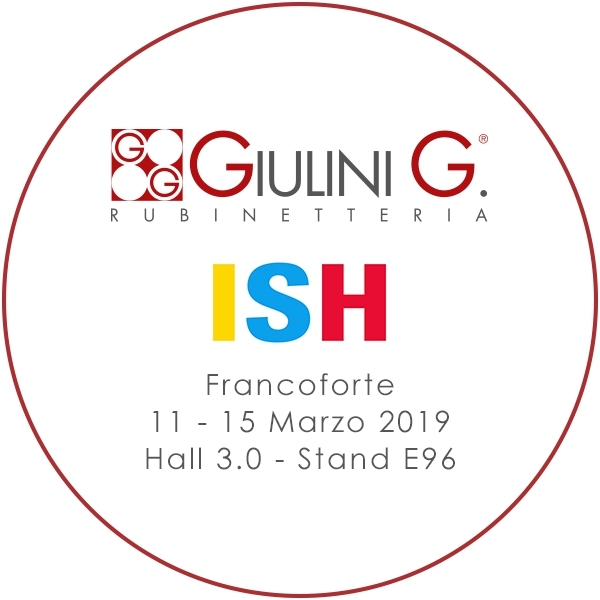 Giulini arrives at ISH 2019 in Frankfurt again with exclusive news, exclusive and customizable finishes, as always 100% Made in Italy. Color and Materia become the essential key words for the values of each product by Giulini to achieve the highest aesthetic, technological and quality standards. Giulini will present itself to visitors within the project Design ITALIA - ASSOBAGNO by FederlegnoArredo.